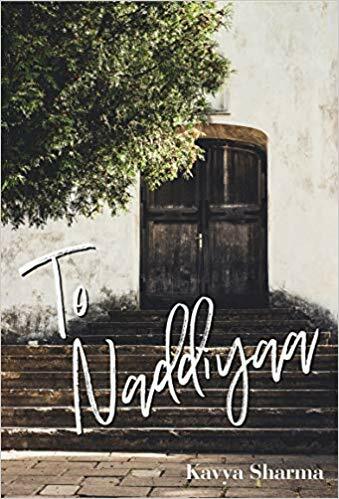 It isn’t very hard to fall madly in love with your own wife and even though Durjoy was deeply embedded to this reality and the one his father imposed on him since his childhood, Nadia was already a part of another one. While Durjoy grew as the mad child of the misty hills, close to poetry and his mother, Nadia was the traditional, internally strong-headed woman of a motherless home. None of them revolted each other’s love and yet they ended up crossing each other at a threshold there was no coming back from. The story captures an endless wait on a mad lover’s part and his wife’s failed realization of the same. 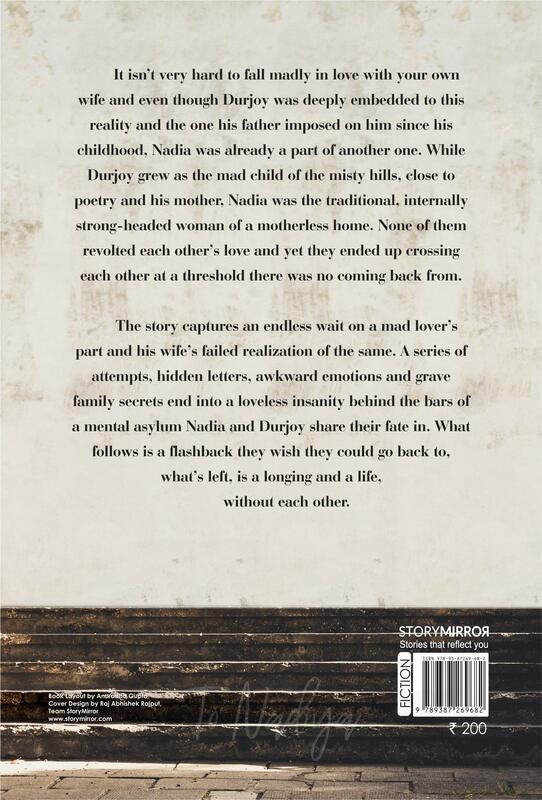 A series of attempts, hidden letters, awkward emotions and grave family secrets end into a loveless insanity behind the bars of a mental asylum Nadia and Durjoy share their fate in. What follows is a flashback they wish they could go back to, what’s left, is a longing and a life, without each other. Kavya Sharma has completed her masters in Creative Writing from the University Of Nottingham, England and did her undergraduate in English Literature from I.P College for Women, Delhi University. She is a published poet of the poetry collection- “The Carmine Memories: An Insane Woman’s Poetry”. Recently she was awarded The Honourable Mention by Delhi Poetry Slam for excellence in poetry in their Free Verse Poetry Contest. Her short stories / poems / articles have been published on various platforms including The Bangalore Review, Thought Catalog, Terribly Tiny Tales, Out of Print Magazine, Indus Woman Writing, Spark Magazine, Youth Ki Awaaz, etc.